Make Your Own Flip Flops. Printed Flip Flops For Kids. Get your little ones prepped for their Summer holidays and make your own flip flops, made just for you. Created from a lightweight but durable rubber, these kids flip flops are the perfect way to add some extra color and fun to a beach trip. Super comfortable under their toes, these are sure to be the kids new favorite footwear. No more tipping out sandy trainers at the end of a lovely beach trip; these custom printed flip flops are the ideal Summer footwear for your little ones. 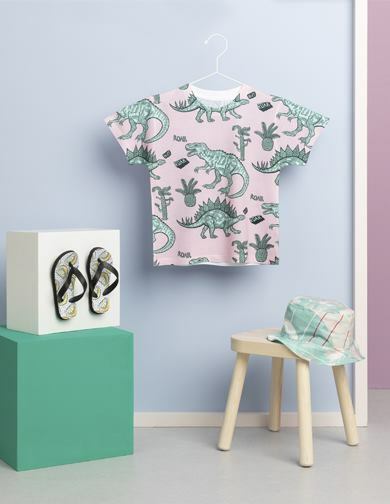 Treat the kids to some beautiful new flip flops, printed all over with your design – perfect for sunny days out or trips to the swimming pool. Created from a sturdy foam which is coated in a soft and breathable fabric, they’ll never want to take off their new comfy shoes which will feel lovely against their little toes. The lightweight, yet durable foam is ideal to cushion the feet and add extra support, and the soft plastic strap is snug but won’t dig or cut in. Finished off with a rigid sole to prevent any slips around the pool, so no need to worry when they’re off having fun! 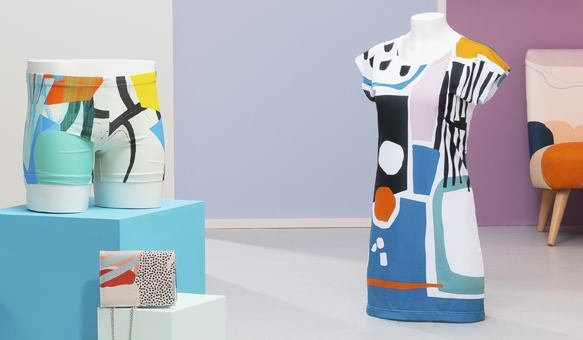 Upload your artwork or photos onto our online design studio to customize what’s sure to be their new favorite footwear and give them a Summer treat to remember for years to come – you can even print different designs onto each shoe if you’re feeling creative. A spongy, durable foam with a non-slip rigid sole is cut to size, and then wrapped with Duchess satin fabric featuring your designs. 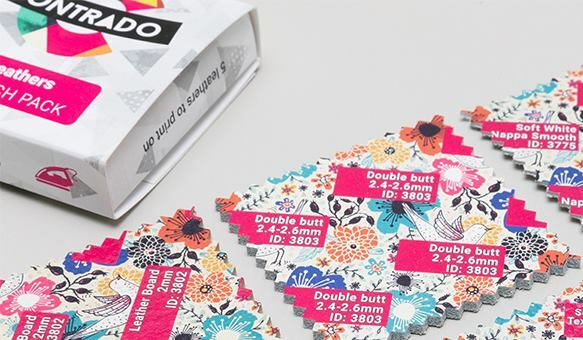 Using a professional printing process, your designs are reproduced onto the breathable fabric which is then carefully wrapped around the base. 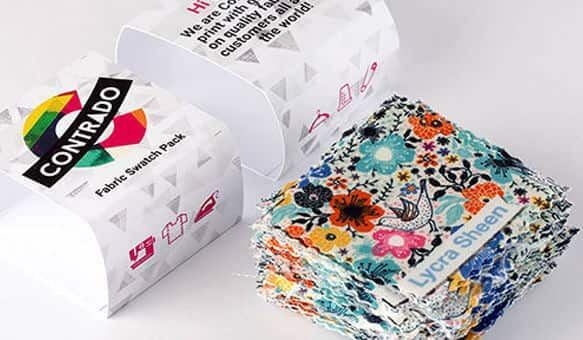 Our printing method ensures a vibrant, permanent print by fusing the printing inks directly with the fibers of the fabric, meaning it won’t fade over time even with poolside splashes. Our skilled makers hand-craft your kids new shoes all onsite in our London factory, giving every pair extra love and attention to detail. Style their comfy new flip flops with one of our personalized kids t-shirts, designed to fit any style and perfect for boys or girls. Combine the flip flops with a cool beach outfit; cropped camo shorts and a tee or a comfy beach dress, for the ultimate in kids fashion. Don't forget to add a custom beach swim bag to carry around your new gear! 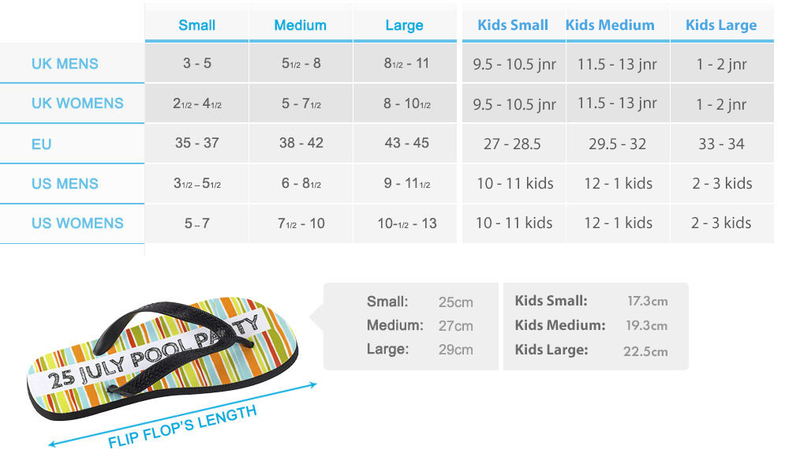 The flip flops are available in 3 kids sizes, small, medium and large. What are the flip flops made from? The flip flops are created using a sturdy but lightweight foam, which is then coated in a breathable Duchess Satin fabric. The smooth satin feels extra comfy under the toes and provides extra cushioning to support the feet. Finished off with a soft plastic toe divider strap, they’re the ideal Summer shoes. These printed flip flops have a plastic strap punctured into the sole at three points, so avoid putting any important parts of your design around the toe separator. Simply click the product view option in the online design studio to ensure your complete design is looking perfect. Why not try customising your image with some text? Print your kids name on their flip flops so they can easily find them after a swimming lesson, and there won’t be anymore cases of flip flops going walkabouts. Shop beautiful kids flip flops, designed by our Contrado creatives.